Plateau State Commissioner for Information, Mr Yakubu Dati. Commissioner for Information in the state, Mr Yakubu Dati, made the request on Wednesday during his appearance on Channels Television’s Sunrise Daily via Skype. The request is coming on the heels of the weekend attack on some villages in Barkin-Ladi Local Government Area of the state, where several persons were killed by suspected herdsmen. The commissioner explained that the fund would help the government address the issues of compensation after the deadly attack rendered many other residents homeless. 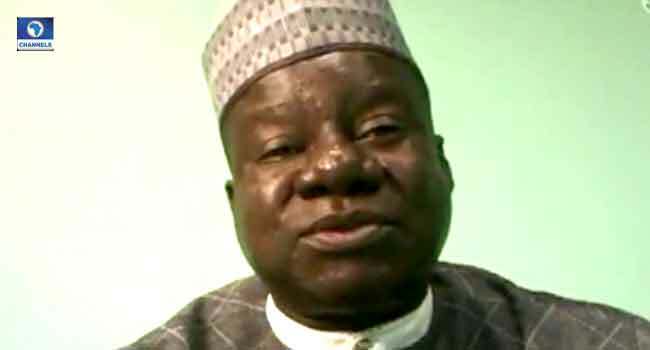 Dati’ further decried a situation whereby security operatives allegedly receive directives from their headquarters in Abuja, rather than from the state governor who is considered as the Chief Security Officer. He claimed the security situation would have been better managed if there was a better synergy between the state government and the agencies. “The military (personnel) do not report to the governor, They report to the Commander-in-Chief (President),” the commissioner affirmed. At least 100 people were killed and many others displaced by the attack on six villages of Xlands, Gindin Akwati, Ruku, Nhgar, Kura Falls and Kakuruk, all in Gashish district. President Muhammadu Buhari and the National Assembly leadership, as well as prominent Nigerians and groups, have condemned the incident. During his condolence visit to the state, the President met with traditional rulers, community and religious leaders, representatives of youth, women and trade union groups in Plateau. He also appealed to Nigerians to live in harmony and avoid inflammatory utterances that can endanger peace or promote conflicts. President Buhari had consequently ordered the security chiefs to be vigilant and ensure that the lives and property of the people were protected.